The free one is virtually pointless since you can simply transpose the black keys to play pentatonics in all keys and get all the modes in any key by simply pressing the transpose button on the keyboard. This is such a simple concept (remapping the MIDI keyboard keys to produce scales of choice) that I find it hard to justify spending money on that plugin. Is there any way to set up Reaper, Reason 5 or Kontakt 5 to do something very similar so I can actually play alt scales in realtime? I'm surprised this feature isn't simply built in. I know there is a way to move samples in Reason and Kontakt, but I'd prefer to do it by simply reassigning keyboard keys. Can it be done, even if it's not quite as easy as Autotonic? P.S. I can actually play keyboard and I understand theory, but I want to hear what other tonalities would be like if they were set up to play like diatonic or pentatonic scales. Take a look at pizmidi's 'MIDIChords'. When I was looking for similar I found this to be the best of them. You can pretty much map any MIDI note to any other(s). pizmidi's MIDIScaleChanger is a simpler offering if you really just need 1-2-1 scale mapping/quantisation. Hi, Clemens here, the creator of AutoTonic. Elephone wrote: The free one is virtually pointless since you can simply transpose the black keys to play pentatonics in all keys and get all the modes in any key by simply pressing the transpose button on the keyboard. -->This is not true. The free one does also map other scales than just pentatonic scales. It is based on the same unique MODAL mapping method AutoTonic's paid versions are -- and capable of several unusual non-penta/heptatonic-scales which can be combined with lots of predeclared tonics (in short: the free version indeed allows of other scales, which are not based on 5 respectively 7 notes per octave as usually). Elephone wrote: This is such a simple concept (remapping the MIDI keyboard keys to produce scales of choice) that I find it hard to justify spending money on that plugin. 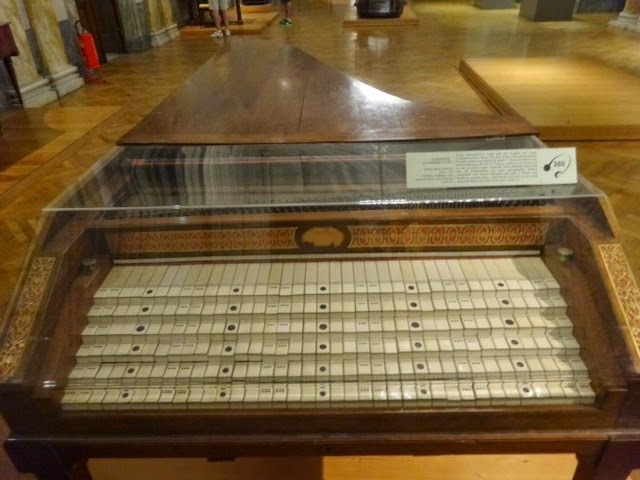 -->Please let's start from scratch: AutoTonic is NOT a piano and NOT a music theory hack. It is instead defined – by its patent – as a 'musical instrument' concept. So please try now replacing in your thoughts AutoTonic for example with another instrument, let's say the trumpet. --> Can we say the trumpet is a 'simple' concept? And would it make the trumpet any less expensive, comparing it for example to a harp? 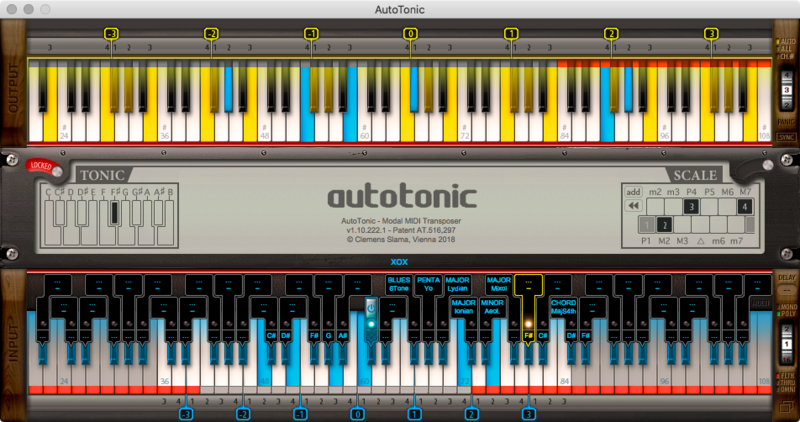 Also, AutoTonic is NOT a plugin by the way, hope you understood about that. Elephone wrote: Is there any way to set up Reaper, Reason 5 or Kontakt 5 to do something very similar so I can actually play alt scales in realtime? I'm surprised this feature isn't simply built in. *AutoTonic reinterprets ANY existing, traditional keyboard =no need for new gear! *chord stacking feature with up to 52 variables! Elephone wrote: I know there is a way to move samples in Reason and Kontakt, but I'd prefer to do it by simply reassigning keyboard keys. Can it be done, even if it's not quite as easy as AutoTonic? Thanks P.S. I can actually play keyboard and I understand theory, but I want to hear what other tonalities would be like if they were set up to play like diatonic or pentatonic scales. -->With all respect, but I think you are misinterpreting AutoTonic for what it is. Because it does not make any sense to use AutoTonic for previewing 'what other tonalities would be like'. It's like saying the same 'I want to hear what other tonalities would be like' about a trumpet. -->AutoTonic breaks a lot of historical conventions instead and can be described as a musical instrument concept on its own. It is something one has to get used to, like with every other instrument too. Hope I have convinced you rethinking your opinion a bit. A lot of efforts and personal resources went into the making of this (yes, I have created it on my own -- started working on it way back in 2011). I am not a big company and this is my only product I am working on, so if you hopefully one day understand about it – even though I haven't understood/discovered all new possibilities yet, and I use it almost daily myself – then I'll be happy to answer your questions. You can either reach me through my homepage's in-browser chat or simply write me an email. Welcome to the SOS forums Clemens.